Have you ever considered getting vitamin IV therapy? Famous among notable celebrities such as Chrissy Teigen, it is becoming a popular trend for everyone. Because this form of therapy is new in the eyes of many, you may be wondering what makes it special and why it’s got people talking about it. 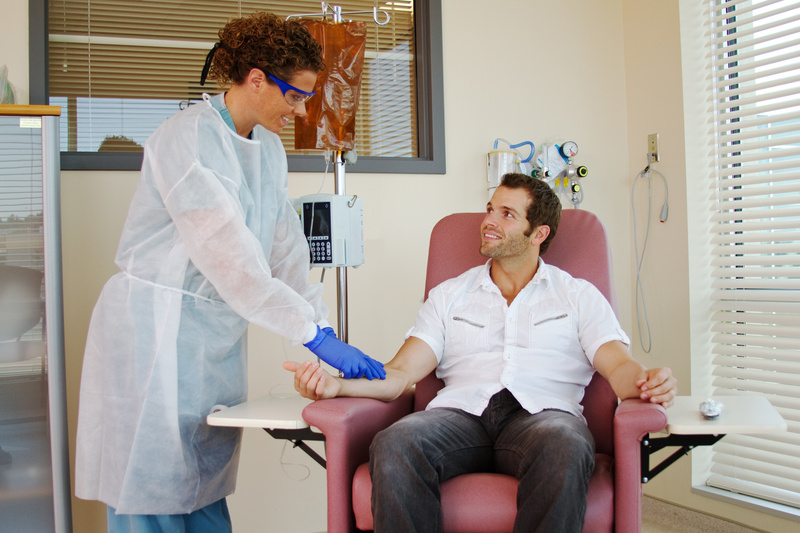 To address the question, we’ve come up with a list of how vitamin IV therapy can benefit you. Keep reading to find out. Although dehydration is a condition you can avoid, it is a serious issue even in its mildest form. 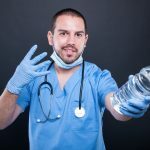 One of the most common uses of traditional IV’s is to hydrate and this form of therapy can also serve the same purpose. The following is a list of mild dehydration symptoms that you may have encountered that this therapy can help. If you have experienced any of these symptoms on a day to day basis, you will benefit from the use of vitamin IV therapy to help relieve dehydration-related symptoms. However, along with its use in replacing lost fluid, it’s also effective in delivering vitamins to your body. With all the over-the-counter supplements at your pharmacy, it’s hard to imagine getting your daily dose of vitamins any other way. Before you make assumptions, let’s look deeper into the ingestion of multivitamins. While investing in your health is important, you may be shelling down a lot of money to get daily supplements which you aren’t using to the full extent. Studies show that 51% of well-known multivitamin supplements didn’t dissolve properly when they needed to, hindering its absorption. As a better alternative, the use of IV therapy allows for the absorption of vitamins into your body as it interacts with your blood system. This interaction is direct, meaning there’s no loss of nutrients because the vitamins no longer have to pass through your digestive system first. This type of therapy is especially effective on individuals with malabsorption issues or the disorders that prevent individuals from absorbing certain nutrients and fluids. With absorption alone, the vitamin IV has an obvious advantage over the use of traditional vitamins. However, you’re probably wondering what kind of vitamins are usually used in this therapy. Now that you know that its use can help you intake a range of vitamins more efficiently, there are the following lingering questions, “What specific vitamins are usually included?” and “Why does it benefit you?” Thus, we have included a list of the vitamins to expect when you have your sessions. As a vitamin that is a necessary component in various systems in your body, it is important to in its ability to keep up with your stressful lifestyle. Additionally, it helps maintains your immune system to lessen your chances of having to take days off because of common sicknesses. Vitamin B helps the reactions that happen in your body and promotes attentiveness and focus on things that matter the most, like your work or family. As a mineral that is important in your body’s ability to create energy, it’s necessary for individuals with an active lifestyle. It helps build up protein from amino acids and assists in the contraction and relaxation of your different muscles. Another important mineral to the immune system is zinc which helps regulate the system’s different functions including activating T cells that control responses and attack cancerous cells. Also, selenium is an antioxidant that helps keep the number of free radicals, which can cause damage to your cells in excessive amounts, at healthy levels. It’s most important role is in the storage and transportation of the different nutrients throughout the body. Amino acids also aid in the repairing of tissues and removal of waste in relation to metabolism. As a compound that used in a lot of your tissues and cells, one of its purposes is to provide structure to your body. This antioxidant provides anti-aging wonders and helps treat and prevent sickness like Parkinson’s Disease. In addition, glutathione may have anti-cancer and detoxifying properties. With all of the basic nutrients that vitamin IV therapy has to offer, your doctor may offer different types of treatments that are more specific to what you want to focus on. Yet, you’re probably thinking that this all sounds too tedious to consider but it a simple process and here’s how. If you’re looking for an effective way that isn’t going to eat away at your available time, worry no more. Depending on which kind of treatment you select, it can take around 45 minutes to 1 hour per session so you can sit back and relax. However, before you go for your session, find out what you’ll need to do before and after sessions with a vitamin IV therapy experienced physician. This is essential for people who need quick treatment. Businessmen, patients with a lot of conditions, busy parents, and others can find vitamin IV therapy as a faster solution to get the boost they need. When you finish your session, you may see the results right away as you start to feel less tired which may lead you to experience better moods. Yet, if you aren’t only interested in its effect on your body, it does wonders for your complexion as well. Patients who went to therapy state their skin glows with renewed freshness. This improvement occurs due to the immediate absorption of vitamin c and antioxidants. These vitamins and nutrients make the skin softer, glowing, and radiant with life. Try a Vitamin IV Therapy Today! Don’t wait a day further! Vitamin IV therapy can improve your wellbeing in more ways than one. Even if you’re not sick, this treatment can boost your health. Still not sure about this therapy? Would you like to know other benefits and what it can do for you? Feel free to contact us and we’ll answer any questions and get you started. 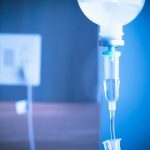 What is Intravenous Vitamin Therapy?